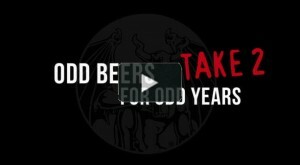 After receiving harsh feedback from a beer community up in arms, Stone Brewery has released a response to their recent “Odd Beers for Odd Years” communication. They will continue to offer their standard IRS and Old Guardian Barley Wine… as well as the Belgo take on them previously disclosed. Having just recently begun distribution to Chicago, I’m relieved we’ll still be able to get our hands on the good stuff, as well as tickle our taste buds with their “odd” take on these classics. Belgium, Belgo, Greg Koch, Stone, ThankGod. Bookmark. I’m actually fairly impressed they got off their (self-projected) high horse and took feedback from beer geeks such as ourselves us to heart. I’m sure the distributors thank the Royal “We” for preventing their shelves from filling up with a product that very well may have been difficult to unload.